Quarter the cabbage, removing the core, and cut it into thin slices, approximately 3 mm (or ⅛ in) wide. 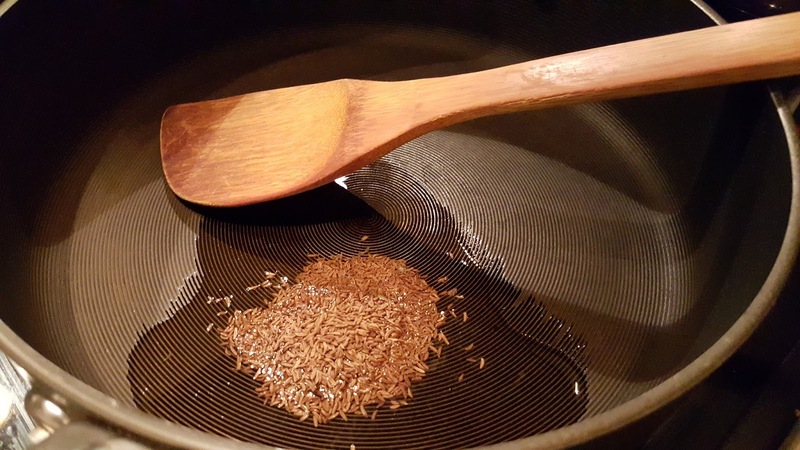 Warm the olive oil over medium-high heat in a large skillet and toast the caraway seeds for about one minute. Add the butter and, as it melts, add the cabbage and sauté it until each strand is lightly coated with the oil. 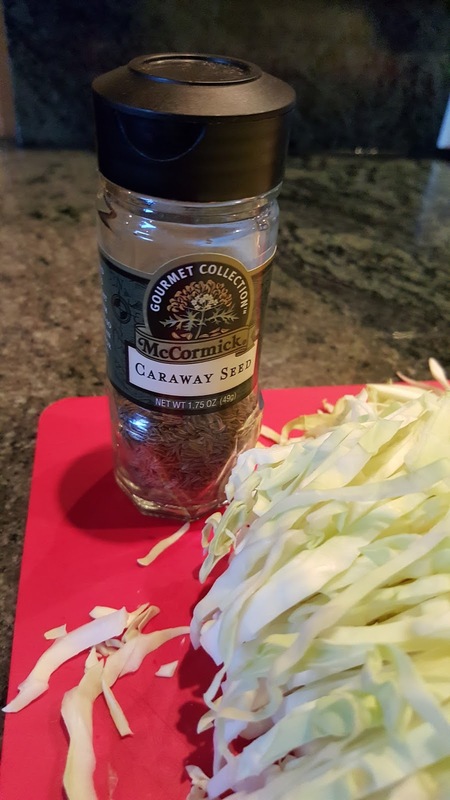 Sprinkle the pepper onto the cabbage and continue to sauté, making sure that the caraway seeds and pepper are evenly distributed. 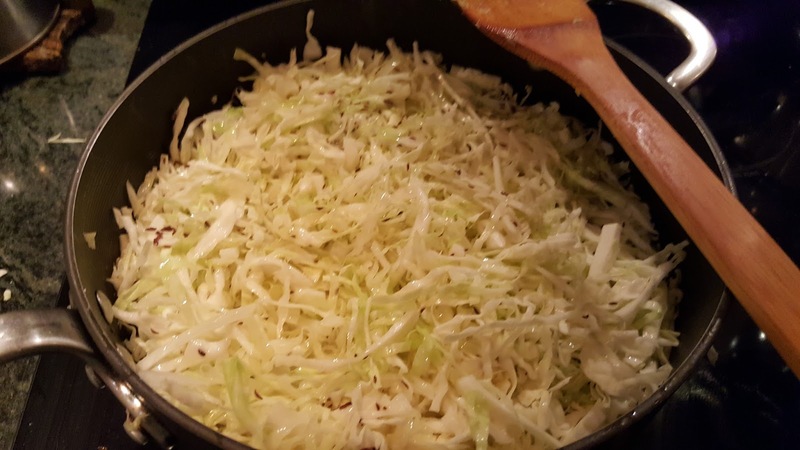 When the finer strands of cabbage become limp, turn off the heat and cover the skillet. After 5 minutes off-heat, the cabbage is ready to eat. 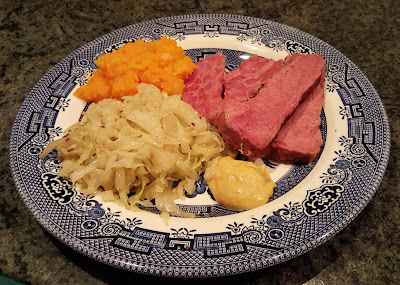 I usually eat cabbage only when fermented, as in sauerkraut or kim chee. I avoid coleslaw at all times. I don't see the point of stuffing cabbage leaves with forcemeat. 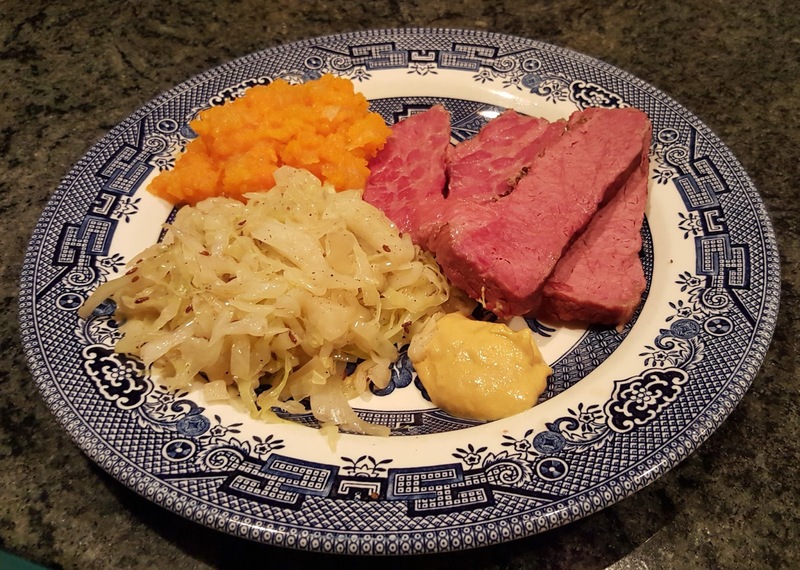 So when it comes to a corned beef and cabbage dinner, I have to get creative. So far, this recipe is it. The cabbage is lightly cooked, still partly crunchy, but without the almost acrid flavor of the raw leaf. I could be quite happy putting twice the amount of caraway seed into this dish that I have listed above, but I realize that not a lot of people find it to be the irresistible flavor that I do. And of course, if in doubt, add a little butter.